What is the ACCS scale? Many of us have struggled with the available tools for evaluating CBT competency. The Assessment of Core CBT Skills (ACCS) is an observation-based scale that builds upon currently available measures in order provide a tool with improved validity, reliability and usability. The primary intention of the ACCS is to provide a framework which assessors can use to deliver formative and summative feedback about a therapist’s performance within an observed treatment session and which therapists can use as a tool for self-reflection. The scale assesses core general therapeutic and CBT-specific skills required to appropriately deliver individual CBT to adults experiencing mental health problems. What is the aim of the ACCS workshop? The workshop will address the why, what and how of assessing CBT competence. First, in relation to the assessment of CBT competence in general: Why do we assess CBT competence? What aspects of CBT competence should we assess? How should we assess CBT competence? Second, in relation to the ACCS scale: Why was the ACCS developed? What skills does the ACCS assess? How can I use the ACCS as a tool to foster skill-development? By the end of the workshop attendees should be familiar with and confident in using the ACCS scale and have an understanding of how the scale fits within best-practice guidelines for assessing competence in CBT. The day will involve a mixture of presentations and active participation in discussions as well as the opportunity to practise using the ACCS scale. A copy of the ACCS manual, feedback form, and submission cover sheet will be provided on the day. However, it would be useful to look over these documents prior to attending the workshop (available at: www.accs-scale.co.uk). This workshop is aimed at (1) supervisors and training providers who want to use the ACCS as a method of assessing competence and providing therapists with formative feedback and (2) CBT therapists who want to use the ACCS as a tool to evaluate and self-reflect on their CBT skills. Dr Kate Muse is a Lecturer in Clinical Psychology at the University of Worcester. She teaches on a range of Undergraduate and Post-graduate modules in clinical psychology, counselling psychology, and research methods and is the Learning and Teaching lead for the Psychology Department. 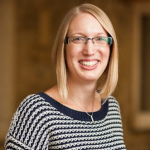 Kate is also an active researcher with a particular interest in the training and dissemination of CBT, identifying barriers to evidence-based practice in CBT, and developing methods of assessing the competence with which CBT is delivered. Before her appointment at Worcester Kate spent several years within the Oxford Mindfulness Centre and the Department of Psychiatry at the University of Oxford where she completed a DPhil and worked as a Research Psychologist. During this time she conducted research investigating factors that maintain health anxiety, evaluating the efficacy of mindfulness-based cognitive therapy interventions for anxiety and depression, and exploring the role of intrusive imagery in anxiety disorders.